I just want to take a second to say a huge Thank You to everyone who took the time to check my blog out over the last couple of days. I also want to thank Wild Wing Winnipeg for sharing my words. One final thank you to the gentleman who stopped me in Sal’s today and told me that he had read the blog and liked it. I was thrilled with your feedback and it did make my day. My husband and I are huge The Walking Dead fans. Been hooked since the first episode premiered and with the mid-season premiere a couple of weeks ago I decided to make a bit of a fun bite to enjoy while catching up with our heroes living in the post zombie apocalypse world. I’m a fan of Italian flavours and bruschetta is one of my favourite combinations. I started with two medium field tomatoes. Generally when I can I go with tomatoes on the vine. I find they have a very nice smell to them and great flavour but winter in Winnipeg I tend to go with what I can get for a good price and in good shape. 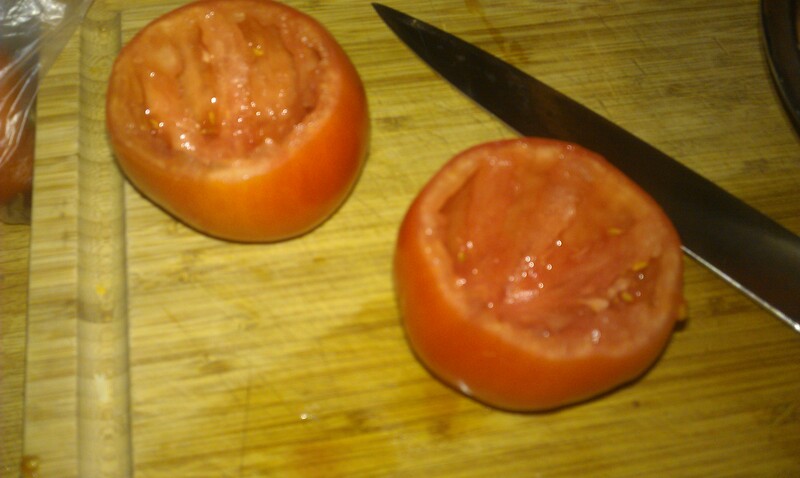 I sliced the tops of these two tomatoes and cleaned out the seeds with a tablespoon. I then sliced them in to good sized pieces and put them through my mini chopper to get a good chop on them. 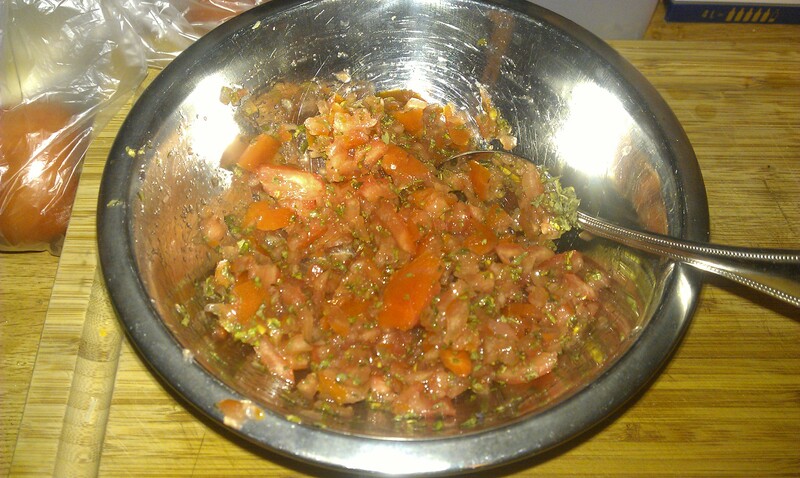 Filling – Chopped tomato, balsamic vinegar, touch of onion and basil to taste. Once I’ve chopped up my tomatoes, I chopped a small amount of a sweet onion (about a 1/4 cup or so) and combined it with approx. 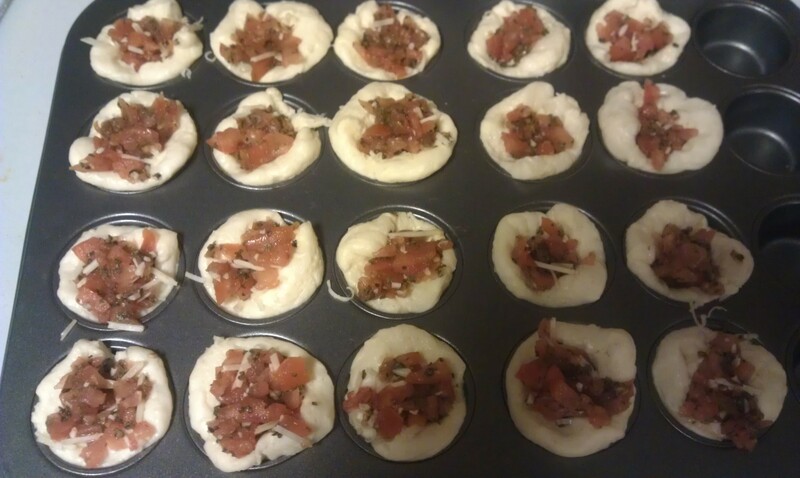 2 tablespoons to balsamic vinegar and sprinkled the dry basil until I could see it distributed throughout the filling. I like the tang that balsamic gives so I am a bit of a free pour kinda cook for this but you don’t want this filling to be too wet or the base won’t cook properly but I do suggest to basil and balsamic to your taste. 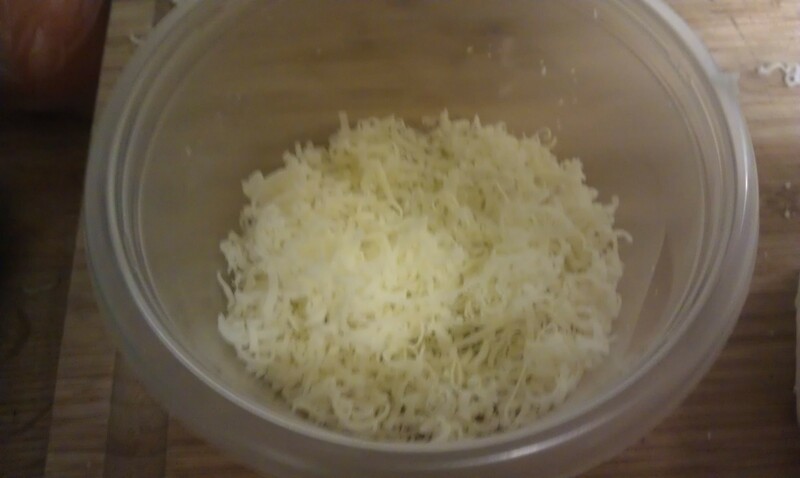 I took some mozzarella and grated it on through the fine grate on my three sided cheese grater. I wanted it to melt easy and try to avoid large chunks of cheese when you take a bite. I’ve mentioned before that I have a love/hate relationship with pastry. I love to eat it but hate trying to make it. Someday I will rise to the challenge but a tip I got from my husband is that refrigerated buttermilk biscuits make for a great base for a mini muffin sized bite. When you open the biscuits quickly separate them and then take each one, place it on the side and cut them in half. This ensures that you can make at least 20 bites from one tube of biscuits. Biscuit dough lined mini muffin tin. 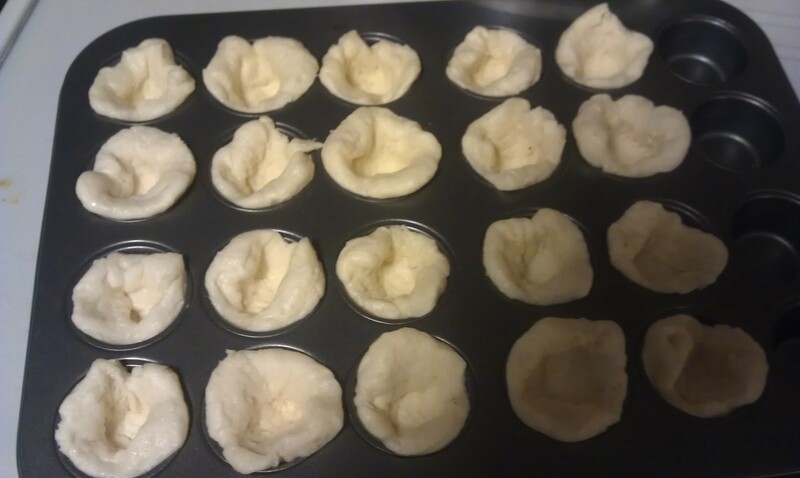 Once your biscuits have been cut in half you can press them into the mini muffin pan. You want to press firmly and get the dough all around the bottom of each muffin. These will stick up and around but they will cook nicely and still puff up to almost embrace your filling. Sprinkle of mozzarella in each cup. I went with a whim and put a sprinkle of cheese in each cup. I wanted to make sure the flavour would come through and didn’t want to loose the cheese in the balsamic and basil. Put the filling in the cups! Take a tablespoon and put enough filling in to just come up over the edge of the cups. You want to make sure that the cups are filled really well or you will find you have a lot of bread in your bite and not getting that bruschetta combination of flavours. I also did a quick sprinkle of mozzarella on top before sliding them into a 350 degree oven for approx. 20 minutes. I would say as every oven is different start peeking in at the 15 minute mark or so. After 20 minutes at 350 degrees we have our bite! The really nice thing about this bite is it is very flexible and can be made with pretty much anything you have on hand in a pinch. Ideal for potlucks or last minute guests. I was winging this one. 2) Seed and chop the two tomatoes. 3) Combine tomatoes, onion, balsamic and basil and set aside. 4) Open the can of biscuits and separate. Take each biscuit, put them on the side and cut in half. 5) Press each biscuit half into a cup of a mini muffin tin. Be sure to press down to get the dough into all the parts of the cup. 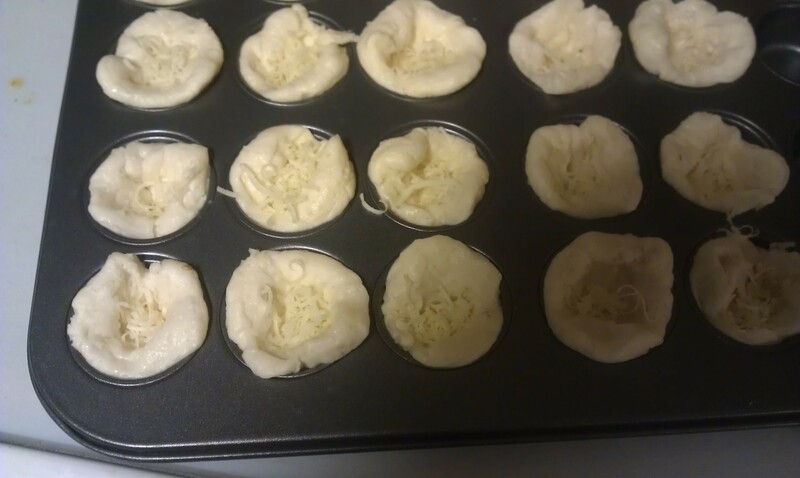 6) Sprinkle a bit of mozzarella cheese into each muffin cup. 7) Take a tablespoon and put enough filling to the cup so that it comes up even with the edge of the dough and fills the cup completely. 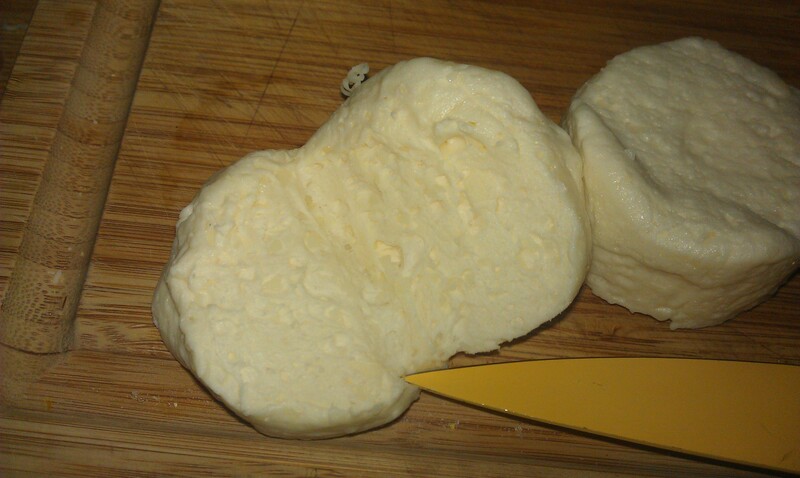 8) Top with more mozzarella cheese. 9) Put in the oven and bake for approx. 20 minutes or until the dough is golden and cooked. 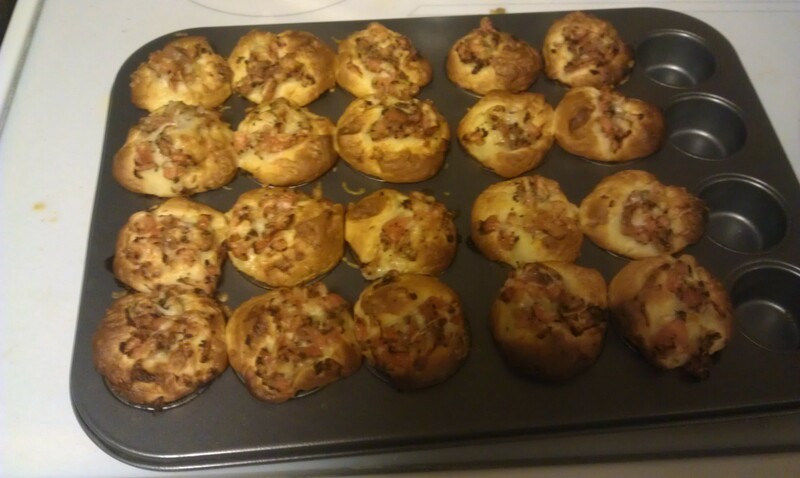 Posted on February 22, 2013 by Shirley Robert	• This entry was posted in Recipes and tagged balsamic vinegar, basil, biscuits, bite, bruschetta, food, mini muffin pan, tomato, vegetarian, wing winnipeg, winter in winnipeg, zombie apocalypse. Bookmark the permalink.